You don’t have to spend endless time online chasing passive revenue streams. In fact, some of the best ways to earn recurring revenue are by doing things you love. 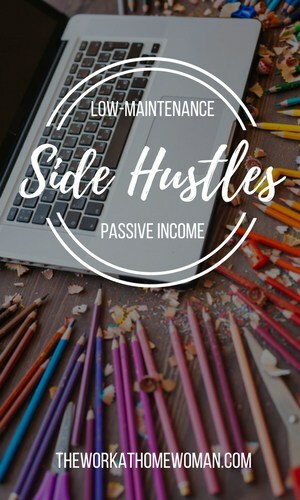 Whether you’re a writer, photographer, designer, or creative, you can start an easy-to-maintain passive side hustle that generates revenue day and night. Love to write? Consider putting your words to work. There are a number of ways to make a living as a freelance writer. But common online writing gigs like copywriting, ghostwriting, and blogging can be demanding and don’t often result in recurring revenue. 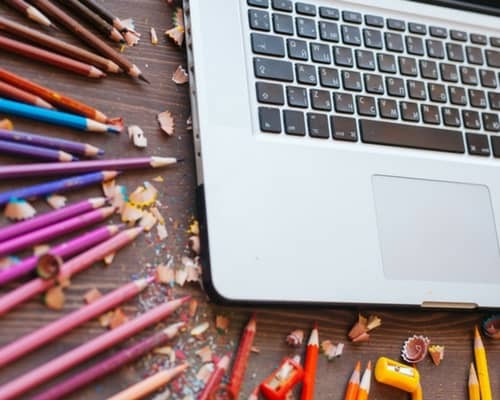 Fortunately, there are options for those wordsmiths who want to turn their passion for writing into passive income profits without having to stress about passing deadlines and pageviews. Get Started on Hub Pages. HubPages is a network of user-generated content, collectively called ‘hubs.’ As a writer, you can sign up on HubPages for free and receive your own unique URL (for example, hubpages.com/@YourName). Your Hub can then be easily monetized using a combination of advertising and affiliate links, all seamlessly integrated into the HubPages platform. And since HubPages encourages writers to share their thoughts on everything from pop culture to parenting, you can write about subjects you’re truly passionate about. This means you can passively earn while offering up your point of view about the things you know (and love) the best. The e-book industry is big business. An estimated 1,064,000 e-books are downloaded each day on Amazon’s popular Kindle platform. Even the smallest slice of that pie can amount to some pretty impressive passive income each month. And the good news is that a well-written e-book doesn’t have to take a lot of time, energy, or effort. In fact, you can write a non-fiction e-book in as little as 30 days. But self-published authors can also find huge success writing short stories, novellas, and other works of fiction. So, if you’ve been dying to get a short story out to the masses – go for it! Or, if there’s a bit of real world wisdom you’d like to share, that works too. The best way to start a low-maintenance e-book side hustle is to write about the things you know and love. The enthusiasm will show in your writing and readers will reward you with positive reviews – one important key to e-book success. If you consider yourself somewhat of a shutterbug and count photography as one of your hobbies, you’ll be interested to know you can make passive income selling some of your snapshots for profit. Since there is a huge demand for royalty-free images, many stock photo sites readily accept new submissions from both amateur and professional photographers. Of course, you'll have to meet certain requirements first, but if you have images in your portfolio you’re willing to part with, stock photo sites may be a steady source of recurring side income. Foap is a free app available on both iOS and Android. As a photographer, you can upload your snaps directly to the Foap app and offer them up for sale in their global marketplace. All photographs are priced at $10. When one of your shots sells, you get $5 and Foap keeps the other five bucks. While that may not seem like a lot, remember, a single shot can sell multiple times and quickly amount to hundreds of passive income dollars! Turn your smartphone into a passive income photobank with the Clashot app. All you have to do is upload pictures and sit back and wait for sales to roll in. As part of the large stock photo company, DepositPhotos, pictures submitted via Clashot will be priced according to DepositPhotos guidelines. But, on average, you can expect a photo you submit to earn commissions ranging from fifty cents all the way up to $80. As a creative, you may not instantly think of putting your creations up for sale. But with the help of several marketplace sites – you can do just that. In fact, these sites will handle physical products, payments, and customer service for you. So, instead of keeping inventory on hand and dealing with day-to-day operations, you get to worry less and focus on what you do best – creating. From coffee mugs to t-shirts, there are dozens of products you can apply your unique designs to as an independent artist on Redbubble. Redbubble handles the manufacturing and shipping of all your products. They even offer flexible pricing options that give you the chance to determine how much passive income you’ll earn on each item sold. There are more than 350,000 artists, designers, and creators passively selling their work on Redbubble. You can too. It’s free and easy to sign up, getting you one step closer to earning worry-free, recurring income. Put your art for sale on autopilot as a designer for Zazzle. To set up shop, all you need to do is sign up, pick a store name, and start creating. There are hundreds of products you can apply your designs to. Some of their popular items include t-shirts, iPhone cases, and invitations – but with additional items ranging from shower curtains to shoes, you’re only limited by what you’re willing to create. As a bonus, Zazzle takes care of all the manufacturing, shipping, and customer service for you. With Zazzle’s unique “Name Your Royalty” program, you’re fully in control of your passive income earnings. There’s no denying the power of Pinterest! In fact, a popular pin can be seen by millions of people. And with a super long shelf life, a pin sent out today could be seen by an even larger audience a year from now. Since Pinterest offers pinners the chance to share affiliate links, you could earn commissions over and over again from one viral pin. How’s that for low-maintenance? Keep in mind; there are best practices to being a successful affiliate marketer on Pinterest. For starters, you should share affiliate pins sparingly. Always strive for quality of pin versus quantity, and you will be rewarded with re-pins rather than penalized for spamming your fellow pinners with a sea of affiliate links. Favorite pastimes and hobbies make some of the best side hustles. After all, it never feels like work when you’re doing something you love. And, with these passive income ideas, you can easily go from passion to profit while earning extra money each and every month for doing things you enjoy. If you can’t find something that works for you in this list — be sure to check out these legit online side jobs, it's one of our most popular posts! I love that your side hustle ideas are in the artistic realm! Thank you! Glad you enjoyed the list, Kelly. It’s so true — it’s not about a degree, it’s about how willing are you to hustle! Well, these are good options for creative people but making money from them is not easy. Hi Lisa, Yes, Fiverr is a great place to earn a side income. Are you currently selling there?